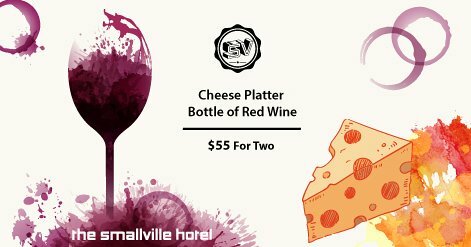 Join us at Merry Go Round Restaurant and indulge an amazing Cheese Platter, carefully chosen by The Smallville Hotel's Michelin Star Chef. The offer includes a Bottle of Red Wine picked by our sommelier. Price 55$ including VAT for TWO persons.